Amidst recent blows to Jamaica's image on the local and international landscapes, Dancehall and Reggae artistes shone at Sunday's Best Of The Best Concert in Miami. Some of Dancehall's finest, including Mr. Vegas, Chino, Baby Cham, Lady Saw, Gyptian, G-Whizz, Romain Virgo and Serani, alongside international artistes, P. Diddy, Nicki Minaj, Rick Ross, Busta Rhymes and others, put on show-stopping performances at the concert, which attracts more than 40, 000 persons from across the Caribbean and the USA each year. Mr. Vegas' set was inundated with cheers from the excited audience as he perfomed Heads High, We Nuh Want Nuh Friend, where he denounced persons doing illegal activities in Jamaica and Gallis, which worked the crowd into a frenzy. Mr. Vegas also took the time to lift the spirits of the (Jamaicans in the) crowd by performing several gospel songs in addition to his single, I Am Blessed which earned him an encore. Mr. Vegas whose correct name is Clifford Smith said, "It was great being there. It was my first time performing at Best Of The Best. Over the years somehow I've always been confirmed for another show on that date, so I'm happy this year I could be here. The show was great in terms of production, quality and vibes from the crowd and I have to commend my fellow artistes for putting on great performances despite the circumstances at home and everything the country has been through over the past few weeks." Mr. Vegas headed to New York next and will be travelling to Europe for performances in a few days. He returns to the island in August. 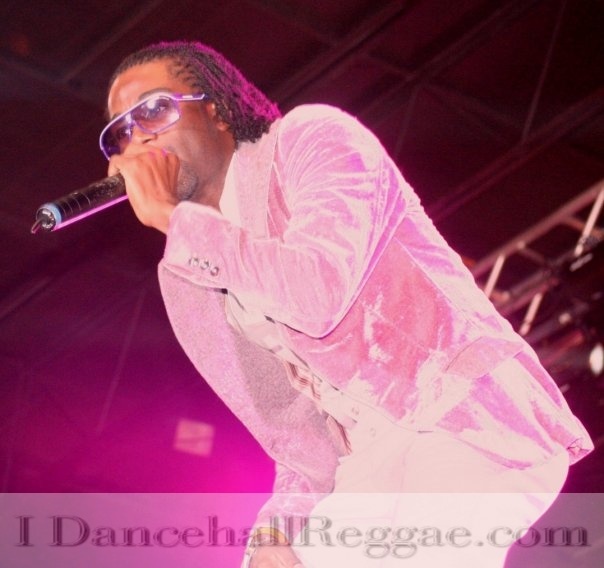 Dancehall singjay Chino and producer/artiste Stephen "Di Genius" McGregor were also praised by fans as two of the concert's top performers for the evening. Chino said, "Before leaving the island to be honest, I only had one thing in mind and that was to put on one of my best performances. To me, artistes are musical ambassadors, and I wanted to get out on the international stage and represent Jamaica and our tremendous talent the best way I could." Chino, Di Genius and other members of the Big Ship family then made their way to New York for the annual Memorial Day Celebrity Football Match. Also present at the match were a number of Reggae/Dancehall artistes and producers, including Assassin, Shabba Ranks, Versatile, Romain Virgo, producer/street promoter, Johnny Wonder of 21st/Hapilos and others. Chino returned to the island yesterday (Tuesday) evening.